Most people aren't aware of the fact that self confidence levels changes according to the activity they are doing. For example you might be confident talking to a stranger but totally scared when delivering a presentation. In other words self confidence is situational as it depends on the beliefs you have about the task you are doing. This also means that you can actually improve your self confidence in one area and still have low confidence in other areas. How good are you with computers? Do you use them perfectly? Then you are confident when it comes to using computers. Now how good are you with people? Are you less confident? then you need to work on that area. Now can being confident in one area affect your levels of confidence in other areas? yes this can happen in some case. Now what does all this has to do with martial arts? Does martial arts increase self confidence? Recently i got so many emails from people who were wondering whether practicing martial arts can help them become more confident or not. Mainly those people were wondering whether its worth the time and effort to practice martial arts. First of all put in mind that by practicing martial arts you will be improving your confidence in many areas but not all of them. For example, don't expect yourself to deliver perfect presentations after learning martial arts. Now as you keep learning your confidence will gradually increase in the respective areas. In many cases you can feel much better in a matter of 2 weeks if you strongly believed in the martial art you are practicing. This is why you should go for a martial art that you trust and believe in for the stronger your belief in it the faster will your confidence increase. Martial artist, actor, instructor, filmmaker and philanthropist, the legendary Bruce Lee was arguably the most influential martial artist of all time. Bruce Lee’s appearance in films such as Enter the Dragon made him an iconic figure throughout the world, popularizing Hong Kong martial artists in the Western World and beyond. Many have also credited him as the man who changed the way Asians were presented in Hollywood, and Lee was named as one of Time Magazine’s 100 most influential people of the 20th century. All of this was achieved in spite of his unfortunate death at the age of 32 in 1973. Ruthlessly dedicated, composed and focused, Lee's philosophy of life was impregnated with traditional Confucian principles, and his wisdom ought to be applied by anyone seeking to live a daring, purposeful life. Here are timeless Bruce Lee quotes that will challenge you to live an incredible life. “As you think, so shall you become”. When people ask me about what I learned from martial arts, I don't talk about favorite punches or kicks, or about fights won or lost. I talk about learning self-discipline, about ethics and manners and benevolence and fairness. The two most important things to do for self-defense are not to take a martial arts class or get a gun, but to think like the opposition and know where you're the most at risk. I would be nowhere without martial arts. It's a passion. Tae Kwon Do gives me physical boosts along with mental boosts. Physical boosts are great. Tae Kwon Do strengthens my muscles so they are stronger and bigger than before. It gives me speed because my legs are a lot stronger now and can push farther. It also gets me swifter because I can dodge quicker and move quicker. Mental boosts are just as good. Martial Arts strengthen my mind a lot so my brain is bigger and smarter. It gives me more bravery and confidence. My eyesight is quicker and stronger, and so is my hearing. Once I was on the bus in 1st grade where I was sitting next to a kindergartner and suddenly started punching me. I used my Tae Kwon do blocks, then I realized I wasn’t so I grabbed his hands for him to stop, then he started to kick. I pinned down his legs. You think he stopped? Nope. He started HEADBUTTING me! I finally said “ stop! That hurts! “ and he stopped.” There is no game that wants you to fight in real life.” I said. The bus driver heard and told him not to do that again. Also, my strength helped me endure the pain. This happened when I was a green belt. Meditation is an important part of Tae Kwon Do. It has physical and mental boosts. There may not be many physical attributes, but they are just as good as any other amount. Meditation helps your agility, sense it strengthens your legs and body. It gets your muscles to be used as a defense and/or offense. It doesn’t matter there are more mental boosts than physical, yet it is helpful. Meditation focuses your senses , so you are quicker at things. It gets you swift and speedy, too. It calms you a lot. Meditation also alerts you to any changes and/ or movements. There was a time that I was mad at a game on the computer. I forgot what the name was. I was very mad because the computer was being stubborn. I finally sat down on the floor and meditated for about five minutes. I was jumbled and frustrated and I couldn’t control myself very well. I felt a LOT better when I went back to the game. I felt very calm and collected, as if had turned into a whole other person over that small period of time. It happened about when I was a blue belt. If I had never taken Martial Arts in the first place, life would have been just crazy. That’s how Martial Arts has helped me. A young boy traveled across the land to the school of a famous martial artist. When he arrived at the do jang he was given an audience by the master. “Ten years at least” the master answered. “Twenty years” replied the master. “Thirty years” was the master’s reply. Congratulations everyone on your June 17, 2017 test at Midlothian Athletic Club. The following students have advanced to the next belt. Beginning students of karate, judo, and kendo can be made to shout with the delivery of techniques as a means of learning proper breathing and mental focus. The expelled air prevents the habit of nervously holding the breath with a strike application. The violent noise temporarily diverts the student from worrying about being hit or thrown with a counter technique as he makes his move. The shout can also divert the attention of the student's opponent for a crucial fraction of a second. Until the kiai release of breath becomes a natural part of the fighter, however, it will remain merely an uncomfortable training hand tool, used only in the dojo, and will only contribute to the feeling of artificiality in the martial arts practice session. However, the training hall must reflect the actual world if one is working at learning a combat-oriented fighting art such as Aibudo, and there can be no room for any inhibiting factors whatsoever. 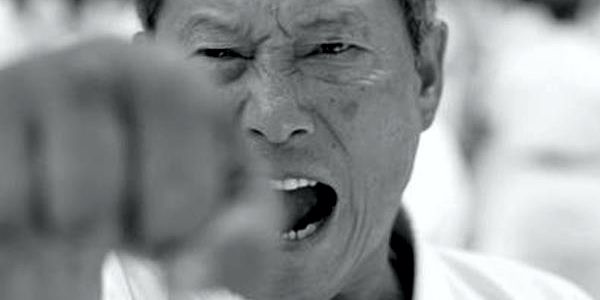 Without a feeling of natural spontaneity, a kiai shout is a worthless endeavor. Without thoroughly understanding the point of the shout, and lots of uninhibited practice, naturalness will never be reached. Based on natural emotional conditions, there are four general types of kiai, as observed by past masters. The attacking kiai shout is a fierce explosive noise that causes the adversary to drop his concentration momentarily. Grounded from the .lower abdomen, the shout resonates through the' body to startle, terrify, and over whelm the enemy. Though there are no specific words associated with the attacking shout, a low, drawn-out, almost growling "ehy!" sound is typical for native speakers of Japanese. The reacting kiai shout is a heavy, intense noise that creates a sense of disappointment in the enemy as his tactics are thwarted. From the tightened midsection, the shout hisses up through the body to accompany the mental charge upon discovering the enemy's hidden weapon, or successfully avoiding his attack The hollow sounding exhalation usually takes a "toh!" form with Japanese speaking practitioners. The victorious shout is a boisterous, triumphant noise that celebrates the overpowering of the enemy. 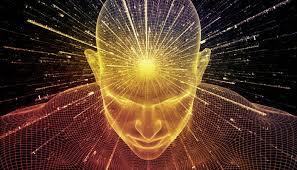 The ringing shouts come from the solar plexus with the exuberance of a laugh, to discourage and bewilder the adversary after a series of blows have been dealt "Yah!" or "yoh!" sounds are natural for Japanese speakers, although the sounds have no word meanings. Native speakers of other languages will produce noises more fitting with their own tonal qualities. The fourth shout, or "shadow kiai!" is not necessarily a vocal shout at all, but rather a total plunging of the body, mind, and feelings into the destiny of the fight If any sound at all were emitted, it might take a "uhmm" sort of quality as this kiai form takes over the ninja's fighting presence by spontaneously blending the characteristics of the attacking, reacting, and victorious kiai shouts in the martial artist consciousness. This is the highest level of Involvement Attackers are used at the crucial moment before a defense is needed, so that the attack is in reality a protection. In touch with the adversary's intentions, there is no surprise and therefore no need to react, in the true sense of the word Finally, even as the victor, one is in danger, in that by defeating another, the desire of revenge is created in the vanquished. Comparisons and classifications fade in their distinctiveness as you immerse yourself in the totalness of the fight, oblivious to the past or future. The only sound left is your breathing in rhythm with the events. An experience of Toshitsugu Takamatsu illustrates the effectiveness of the living kiai. Years ago when studying under his teacher, the training hall was disturbed by a huge student from the Sekiguchi ryu bujutsu school. The big man issued a challenge to the togakure ryu dojo of grand master Toda as Toda sensei's highest ranking student, Toshitsugu Takamatsu would naturally have been the one to take on the Sekiguchi fighter. Before the match could even be acknowledged, however, a junior student of Takamatsu sensei leaped to his feet and insisted on meeting the challenger. The student moved to the fighting area without hesitation and leaped up onto the hardwood floor with a roaring shout and a thunderous stamping of feet Though an older man, the students wide shoulders, scar-crossed face, and neck with its bulging veins gave him a fierce look. Even though the student was not really a good fighter, according to Takamatsu sensei, he must have seemed convincing to the Sekiguchi ryu man, who visibly flinched backwards in shock as the togakure dojo representative headed for him without any formalities. Realizing what he had done without even thinking, the Seki-guchi student held up his hands, and then bowed in defeat before his opponent had gotten half way across the floor towards him. When questioned by Toda sensei, the sekiguchi ryu fighter replied that he had been totally taken aback by the little man's scream of indignation and the demonic look on his face. Though probably a better skilled technician than the togakure ryu man, the intruder had been soundly defeated by the power of pure intention alone. The harmony with the universal force implied in the concept of kiai is in no way limited to the body of each individual alone. As in the foregoing story, we can often feel the force of intentions themselves, far ahead of any physical action that may involve us subsequently. Even if no actions follow, we have no doubt experienced the other person's intention. We know they were committed and that they later chose not to follow through with their actions. This bending of the ki force is known as sakki, or "force of the killer." It is the feeling that our intentions project when we are determined to destroy someone else. Animals as well as humans project this sakki as a natural part of their determination to overtake another being. In real life self-protection situations, the ability to blend in with the ki of another and pick up the sakki directed at the target is a crucial skill for emerging alive from the conflict. That skill is perhaps the most significant difference that separates Aibudo training from the more popular, sport, martial arts training. My name is Ian Wei-Hong Dempster. I am 24 years old. 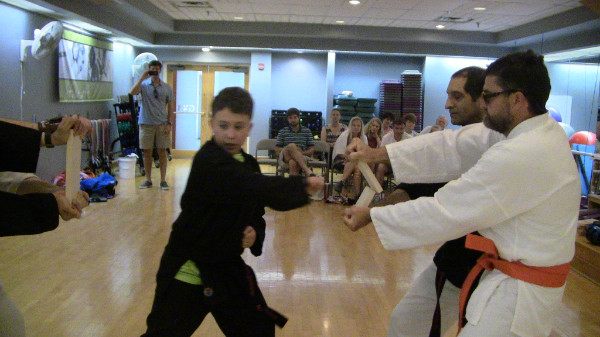 I am a college student, a first-degree blackbelt in Taekwondo, and a cancer survivor. Please bear with me as I take this story back a bit. I didn’t start classes with Lorenzo until I was 18 years old, but I’ve been fighting all my life. In elementary school, I was almost always the shortest one in class, and other kids found it funny, took advantage of that, pushed me around, beat me up. I remember Stephen, my first bully, and I remember him making fun of me for whatever he could. The fact that I was smaller, the fact that I didn’t draw very well, the fact that my mother was Chinese, and the fact that I would cry when he said those things. And despite the fact that I got in a lot of trouble for it, I remember the feeling of when I started fighting back. At the time, I was a child, ignorant of things and fighting out of anger. I was sent to the principal's office over and over, and I’d built up this reputation as this boy who was fragile, but also volatile. Because “Hurt people hurt people”- a person who has been hurt by someone is likely to hurt someone else; and unfortunately that sometimes includes people who aren't involved in the conflict at all. As I got older, I learned that violence should never be the first reaction to aggression. I learned better, but I never forgot the power in my body and the feeling of a fight. Skipping ahead a bit, I had just begun classes at John Tyler Community College. I was a bit adrift and found myself feeling a bit hollow, empty, as if I were missing something. To preface, my brother had learned under Master Gibson before I was even born, and my late uncle studied with him long before that, so Lorenzo has known my family for quite a while. I’d considered martial arts when I was young, but my parents’ work schedule made it difficult. I should say though, that I have always been interested in the different techniques and philosophies of martial arts, and all through high school, I’d educated myself on the ideas of different styles -Muay Thai kickboxing, Wing Chun kung fu, Escrima stick and knife fighting, as well as western boxing and Greco-Roman wrestling- they all fascinated me. Now that I was a young man with the independence of a job and a car, I wanted to pursue martial arts in a deeper way. And so, I started my 2 free classes… in a pair of skinny jeans. Needless to say, there were LOTS of reasons I was happy to have my own uniform. So now I was exploring martial arts for myself. Being a bit of a perfectionist, some things clicked with me. Not many people know, but the patterns we perform in class, the katas, they exist as an encyclopedia of movement. The low punch in the first pattern Chon Ji should be exactly the same every time, because if you ever feel shaky or out of form, you should be able to refer back to that pattern and say THIS is how I should make that low punch EVERY time. When I first learned how to do a tornado kick (360 crescent kick), and I realized I could actually do this high-level move, I practiced for hours on my own, mostly in my backyard in the summer wearing pajama pants so I didn’t get grass stains on my uniform. I learned the respect that you can have for a sparring partner, an opponent, and how much you can look up to someone truly more skilled or naturally talented than you. This is hard to understand for some people, but when you take the anger and the hate out of fighting, when the two of you begin a match testing each other as well as yourselves, knowing that you do not actually want to hurt that person, there is a trust that’s built, and you legitimately bond through it. But I never lost my spirit. All through treatment, I kept humor through the ordeal, telling everybody I’d rather laugh about it than cry about it, and honestly making dark and usually inappropriate humor. Because it's just like taking a kick in the head. In a real fight, if you get hit, you can't stop just because you get hurt because the other person won't stop. Everyone has battles in their life, be they spiritual, emotional, or physical; the difference is in how they approach it, and I'm very fortunate to have (among other things) the mentality of a fighter. Now the battle is recovery. I've been bedridden for a long time, and I have to build my body up again. It's not easy losing a part of yourself like that, not having the skill set you once did. I' self-conscious and constantly aware of the difference in my performance. But I can't stop. Because I hate losing. If you're still reading, I can't tell you how to fight your fight, but I want to reach out a hand and let you know that we are all fighting. And that you should never give up. Congratulations everyone on your May 20, 2017 test at Midlothian Athletic Club. The following students have advanced to the next belt.